IN THE CRIMINAL CASE of the State of Ohio v. Jon Malarcik, an off-duty Summit County Sheriff’s Department police officer is charged with murder. Or, was the victim’s death an accident? In the civil case of Keys v. Carney, Dan B. Keys is suing a local police officer for false arrest and use of excessive force. Was this arrest a result of a personal grudge between two former classmates? 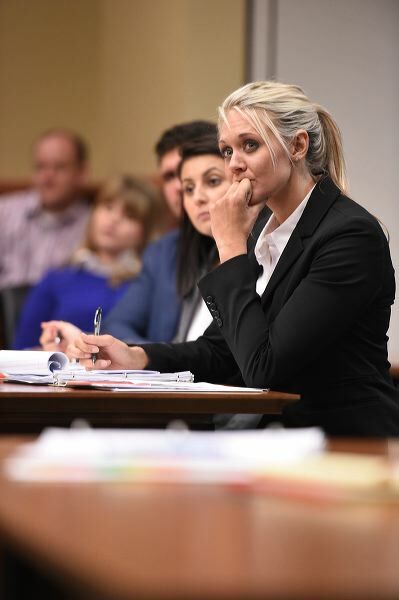 After two weeks of intensive learning and preparation, UA law students presented these cases during mock trials on Friday, Aug. 28 at the Summit County Court of Common Pleas. UA second- and third-year law students enrolled in the University’s inaugural Summer Trial Academy served as attorneys for the cases. First-year law students participated as jurors and witnesses. In sum, over 150 Akron Law students participated in the Summer Trial Academy. In all, four trials took place before Judges Mary Margaret Rowlands, Christine Croce, Amy Corrigall Jones and Joy Malek Oldfield, complete with jury selections, opening statements, direct and cross-examinations, closing arguments, jury deliberations and final verdicts. “The Summer Trial Academy has been an invaluable experience. One of the best ways for students to learn, especially law students, is to learn through hands-on practical experience. The Summer Trial Academy is an intensive course in which leading trial attorneys and judges from around the region participate in helping students learn how to conduct a trial from beginning to end,” says UA Student Trustee Matthew Hull, a UA School of Law J.D. candidate. 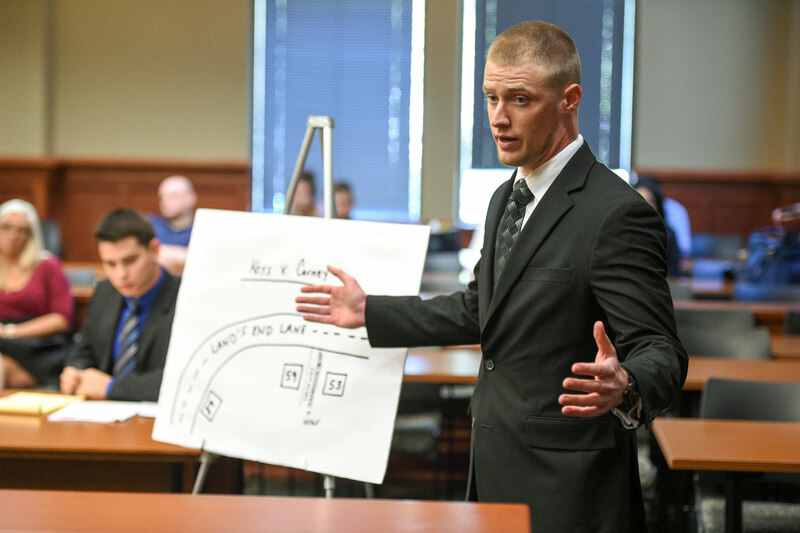 The cases were selected and developed with permission using pre-existing fact patterns by law professor Dana Cole, the Director of the Summer Trial Academy, who teaches criminal law, evidence and trial advocacy. “To make the experience more realistic, we wanted the cases to be local and appropriate for a Summit County jury,” Cole explained. Lawyers who teach the course are members of the practicing bar in Summit, Mahoning and Cuyahoga counties. These prosecutors, criminal defense lawyers, civil plaintiffs’ lawyers and civil defense lawyers include attorneys Don Malarcik, John Hill, Andrea Whitaker, Brian Pierce, Joe Gorman, Larry Vuillemin, Kevin Kita, Greg Thompson, Rachel Smick, Brian Dodez, Kelle Redepenning, Devon Stanley, Max Hiltner, Susannah Bender, Stu Baker, Tony Wise, Ashley Wakefield, and others.